The success of our business relies on the success of your dairy enterprise. All of Gehman Feed Mill dairy feeds now contain chelated trace minerals. A complete line of locked-in formula dairy feeds. NO COST, forage analysis by independent analytical laboratories. Computer balanced feeding programs for your individual dairy herd. Custom feed mixing for your specific dairy feeding needs. Corn and soybean exchange programs. Gehman’s milk replacer product line consists of a non-medicated 23% protein and 19% fat milk replacer which is specially formulated with all milk products for the highest degree of digestibility and growth in the newborn calf, and a 21% protein and 15% fat economy priced non-medicated milk replacer. Gehman’s also has a 20% protein and 20% fat all milk replacer with Deccox for the control of coccidiosis. As a treatment for diarrhea, we have a neomycin sulfate/oxytetracycline Calf Medic Concentrate farm pack mixed at the rate of 1oz per 2quarts of milk replacer. 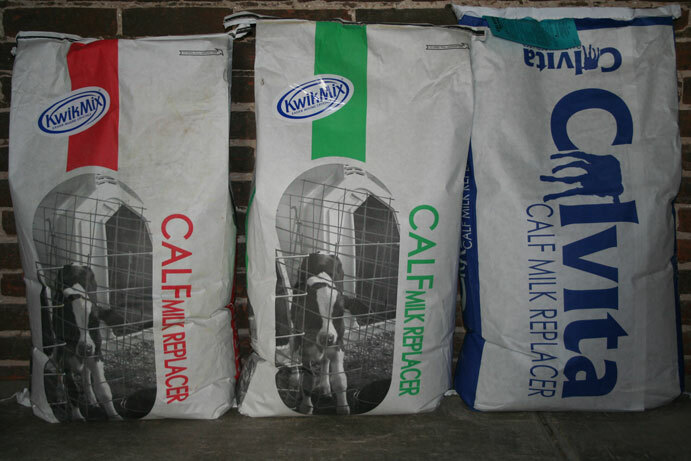 Calves can be weaned when eating 1.5-2 pounds of calf starter per day. To get a quick start on introducing dry feed to baby calves consider using Gehman’s Calf Pre-Starter. This extra sweet 22% protein coarse textured feed is manufactured to start the replacement heifer on an accelerated growth program. This feed also contains Bovatec to control coccidiosis and a treatment level of chlorotetracycline for pneumonia and bacterial scours. Feed according to label directions. To wean calves at 6 weeks requires a nutritionally well balanced calf starter like the one manufactured by Gehman’s Feed Mill. 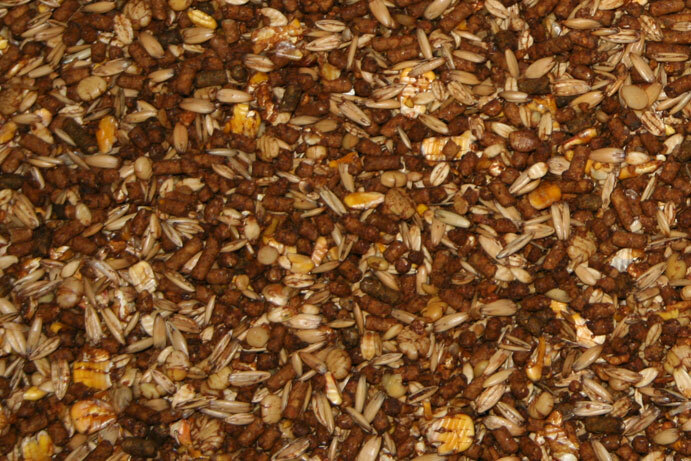 This starter ration contains a precise blend of steam flaked corn, crimped oats, and a fortified pellet to produce an 18% protein mix for maximum growth. Two medication programs are available with Gehman’s calf starter, one, chlorotetracycline for an aid in growth and feed efficiency and the second, amprolium (AMP), for an aid in prevention of coccidiosis where cocci has been identified as a problem. Begin feeding calf starter by one week of age and until calves reach 3 months of age. Limit feed to no more than 5-6 pounds per day. We recommend not feeding any hay until the calf is weaned. 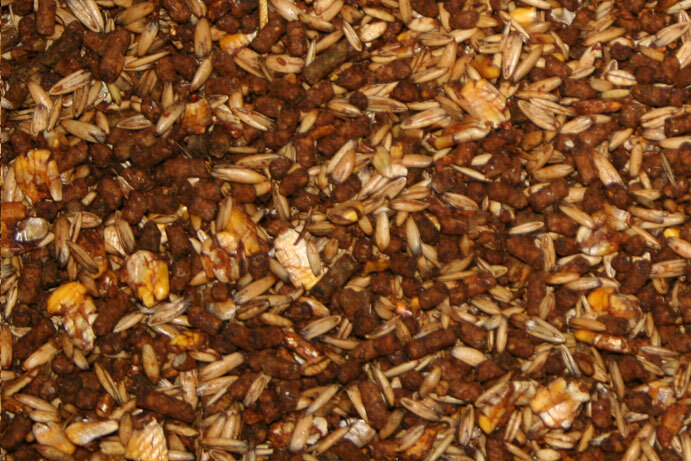 A complete coarse textured feed that can be fed to calves from 3 months of age to calving . This 15% protein feed will provide all the necessary nutrients your growing heifers need for good growth and bone structure development. Gehman’s calf and heifer grower also contains Bovatec for control of coccidiosis and increased feed efficiency. Limit feed grower to 5-6 pounds per day along with a good quality mixed hay. Fermented forages can be introduced into a heifer’s diet at about 6 months of age. This 30% all-natural protein concentrate is designed to follow Gehman’s Calf and Heifer Grower, at a feeding rate of 2 pounds per day, in replacement heifer feeding programs where the ration contains large amounts of corn silage or where additional grain energy sources such as corn or barley are also fed. The formula for this supplement contains Bovatec which increases the rate of gain in growing heifers and also acts as a coccidiostat. These high energy textured rations are formulated in 14% through 20% protein levels to provide you with a complete dairy feed for your individualized forage feeding program. Manufactured with a blend of steam crimped corn, heavy crimped oats, dairy mineral-vitamin fortified pellets, and just the right amount of molasses makes these feeds very palatable and provides optimum nutrients for the high producing dairy herd. A buffer package is also a standard ingredient in the 16% - 20% feeds. For the 20% Pel-Flake, steam flaked soybeans are also included in the formula. The work horse of Gehman’s dairy concentrates, this supplement is made with a blend of natural protein sources, both soluble and by-pass, as well as being fortified to provide the nutritional requirements of the milking cow in all stages of lactaction. This supplement also contains a buffer package to maintain butterfat and prevent acidosis in the early lactation cow. This concentrate is available in meal or pellet form for your individual dairy tastes. Gehman’s most popular dairy concentrate, is manufactured with full-fat steam flaked soybeans as a practical source of extra energy needed by the early lactation high producing cow. This blend of soybeans and fortified pellets will provide all the essential nutrients that are required for maximum performance in your dairy herd as a complete concentrate or as a topdress for your fresh cows with the “will to milk.” This supplement can be pelleted and or custom mixed to provide the exact protein mix needed for your individual operation. An economical, highly fortified supplement that is designed for a forage program that is high in corn silage or low quality hay. This concentrate is best utilized when a higher than normal protein grain mix is needed. This topdress feed is probably the most palatable feed in Gehman’s dairy feed line-up. A topdress feed has to be readily consumed by the cow, or it does not matter how scientifically balanced the nutrients in the feed were formulated. Made with a blend of steam crimped corn, crimped heavy oats, steam flaked soybeans, and a fortified pellet this topdress feed also contains tallow to provide the extra energy needed for your high producing cows. Milk-Mor also has Diamond V yeast culture and several other feed additives blended into it to help reduce the stress of milk production and give your top milkers all the nutrients needed to milk and breed back on time. This topdress pellet is Gehman’s highest fat content dairy feed at 20% total fat. Most of this fat comes from the addition of Megalac rumen bypass fat. Megalac provides the form of fat that can be readily utilized by the cow that is milking over 80 pounds of milk per day and does not have any extra energy body reserves to draw on for maintaining current milk production or making even more milk to reach her genetic potential. The protein blend used in this feed has been formulated to provide the best possible combination of essential amino acid for high milk production. Containing Diamond V yeast culture, niacin, Flo Bond, and other feed additives for stress relief and prevention of metabolic problems, Tank Topper is truly the topdress of choice for that extra edge in milk production and profit. This complete feed contains flaked corn for those dry cow rations that require higher energy due to low energy forages or where no additional grains are available to supplement the energy needs of the dry cow. Feed at the rate of 5 pounds/head/day to provide the necessary protein , energy, vitamin, and mineral fortification needed for the pregnant dry cow and the late term growing calf. This feed also contains organic selenium. A well-fortified concentrate containing generous amounts of phosphorus, vitamins, and trace minerals including selenium (some organic) at .3ppm and Vitamin E at 1000 units to meet the unique requirements of the dry cow. Recommended feeding rate is 2 pounds/head/day and can be fed along with corn or another grain to rebuild body fat reserves or if forages are low in energy. 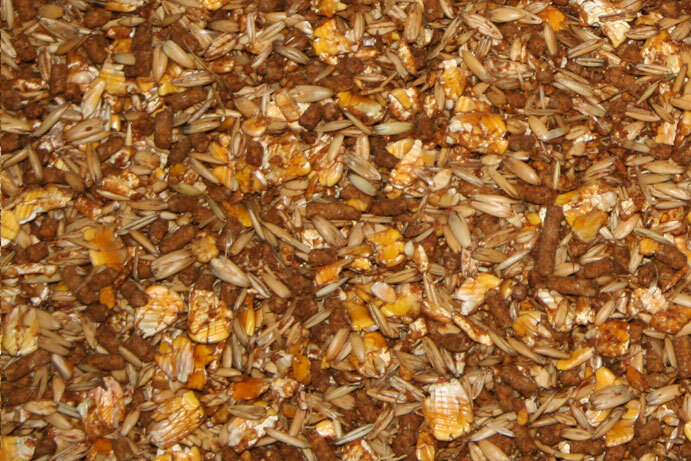 For dairymen using bulk commodities, Gehman Feed Mill can also mix a “super” concentrate complete with all necessary custom ingredients requested by the customer blended into a bulk carrier such as distillers grains, soyhulls, or soybean meal. Feed this transition feed at 8 pounds per day as the sole grain ration for 2-3 weeks before calving for maximum benefit in preventing various metabolic problems associated with recently fresh cows such as milk fever, ketosis, off-feed and twisted stomachs. Due to the cation-anion balancing ingredients contained in this feed some alfalfa forges must be included in the transition feeding program. This post-fresh pelleted feed was developed to prevent ketosis and maximize intake during the first few days following calving. In addition to the regular dairy ration, feed 4 pounds of Fresh Start Pellets for 1-2 weeks after calving for maximum protection against ketosis and other directly or indirectly associated metabolic problems related to poor feed consumption in the post fresh cow. 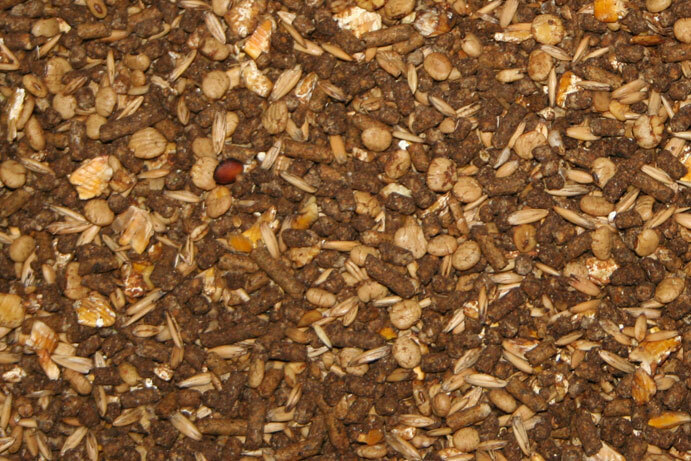 A high powered topdress pellet to be fed at the rate of 1 lb/day during the most stressful time of a cow’s life, from ‘calving to conception’. Begin feeding Gehman’s Dairy Conditioner at the onset of lactation when the output of nutrients for milk production exceeds that consumed by the cow. 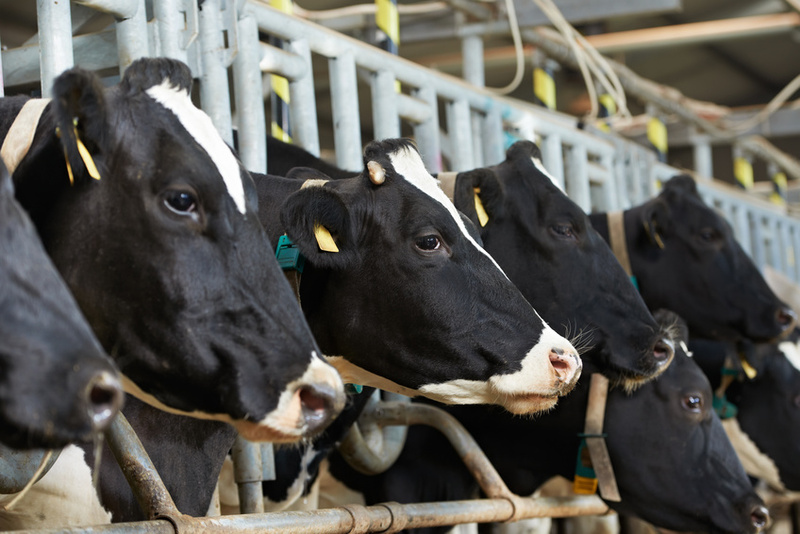 High milk production and low feed intake causes the cow to lose body weight early in her lactation, putting an additional strain on her reproductive system. These pellets are formulated with high levels of vitamins for maximum immune system function, niacin for ketosis prevention, Megalac for a rumen bypass fat source, various rumen bypass protein sources to increase milk production, along with other ingredients blended to aid rumen function. Together these ingredients improve the high producing cow’s appetite and provide the nutrients she needs to begin cycling sooner and breeding back quicker! A complete mineral supplement with Bovatec, that can be used to feed replacement heifers when all protein and energy needs are met with forage and grain sources. Feed at the rate of .33 pound per head per day. A live microbial feed additive fed at 2 oz. per day that aids in the digestion of ration fiber, helps rumen bugs better utilize ration nutrients, and increases overall dry matter intake. A Gehman exclusive product that contains herbal essential oils with yeast culture that increases dry matter intake and provides a better environment in the rumen for more efficient nutrient digestion and absorption. Feed at the rate of 2 oz. per day.